Iceland, by Leif Parsons. 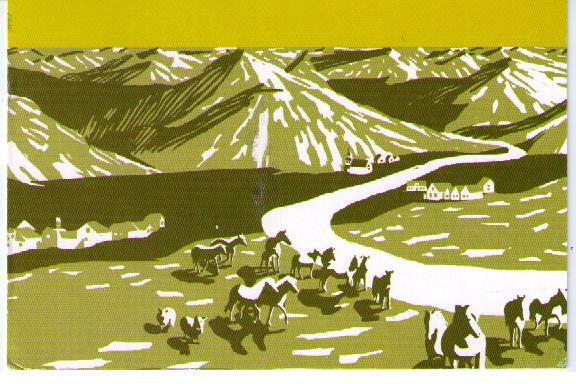 From the cover of McSweeney’s Quarterly, Issue 15. I had the good folks at Visa on the phone, taking the precaution of telling them we’d soon be out of the country. We’d hardly want any potential overseas retail impulses to be impeded by the usual algorithms. “And where will you be going?” asked the customer service rep, having first obtained the dates of our trip. A little research shows, actually, that half a million people “go to Iceland” as tourists each year, in the aggregate outnumbering the 319,000 residents if not the 6 million Atlantic puffins. Many of them go for the volcanos, the waterfalls, the glaciers, and the birds, visiting the natural wonders that ring the island. Others go for the history, visiting the site of Europe’s first real parliament, constituted in the year 930 at Þingvellir. We went for those things, too, but our journey began in the pages of a novel. Although Iceland is a surprising place in any number of ways, don’t be surprised by this. 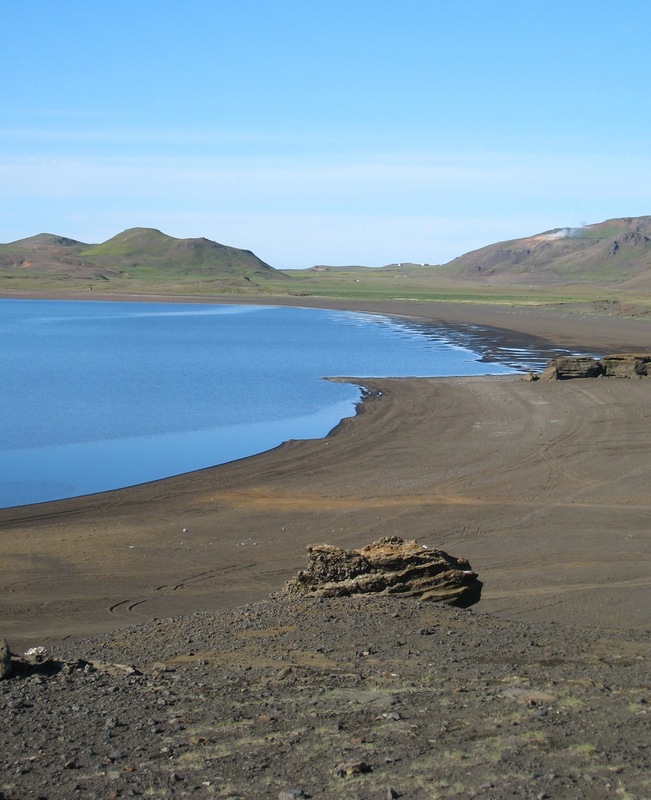 Reykjavík is closer to New York City than is San Francisco, thanks to Great Circle routes. Iceland is warmer in winter than much of the U.S., thanks to the North Atlantic Current. The reasons not to be surprised by the literary genesis of the trip are nearly as numerous as Icelandic books and authors, of which there are more, per capita, than in any other country. According to a 2004 essay in Issue 15 of “McSweeney’s Quarterly” by Birna Anna Björnsdóttir, a thousand books are published each year for what was then a population of 290,000. “Since the medieval times,” she writes, “Icelanders have written more books than can reasonably be expected from a small peasant population at the edge of the arable world.” About a thousand new books are published every November and December, one for every 300 people or so, in what is known as the “Christmas book flood” (cf. this post’s subject line). 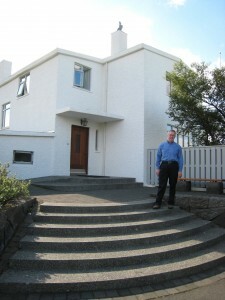 Outside Halldór Laxness’s home, Gljúfrasteinn, near Mossfellsbær, July 2011. Preach it, Halldór. As readers of this Web site (or of my Facebook info page) might guess, his novel Independent People started me down the path to Reykjavík when I read it in 1997, directed to the book by a brief piece by Jane Smiley in the Tribune Books section. “This is the sort of book,” she wrote, “that reminds you how glad you are that you learned to read in the first place.” Being already a reader of Smiley’s, I took her advice, learning in the process not just about the perils of overemphasizing self-reliance, but of sheep, coffee, and redemption. Before long I was hunting down the rest of Halldór’s translated oeuvre – another favorite is The Fish Can Sing – and learning that Icelanders without fail refer to one another by their first names. Without fail, Icelanders also point to their sagas as the jumping-off point not just for their literary heritage, but their sense of themselves and their country. So before long I was reading the Sagas of Icelanders, composed and then written down over the first few centuries of the last millennium. As many an Iceland tourist guidebook points out (we used the spanking new 2011 edition of Frommer’s), many of the locations are findable – though not as well labeled as, say, Gettysburg, and on roads not necessarily fit for a rental car with normal clearances between undercarriage and “gravel.” And many of the sagas also seem to have their own museums. 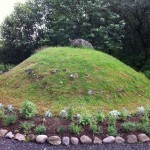 Who is buried in Skalla-Grímr’s burial mound? 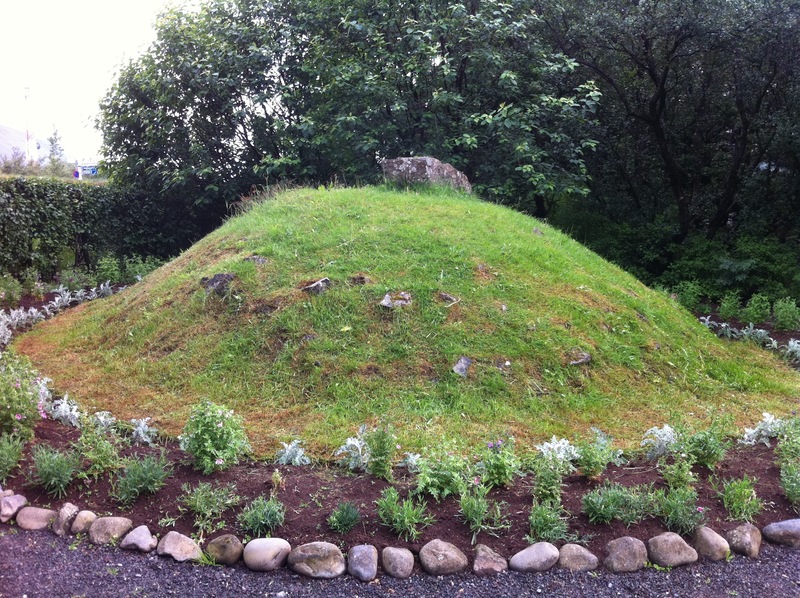 So in Borgarnes, after viewing an imaginative retelling of Egils Saga at a family-run museum called The Settlement Centre, we drove to a park containing the reputed burial mound of the father and son of that tale’s antihero, Egill Skalagrímsson. 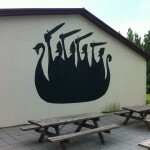 Arriving just 10 years after Iceland was first settled by the Norwegians, the members of this family dispatched friends, servants, relatives, and foes with cheerful abandon, often when they were classically “berserk” (an Old Norse word that moved almost unchanged into English). 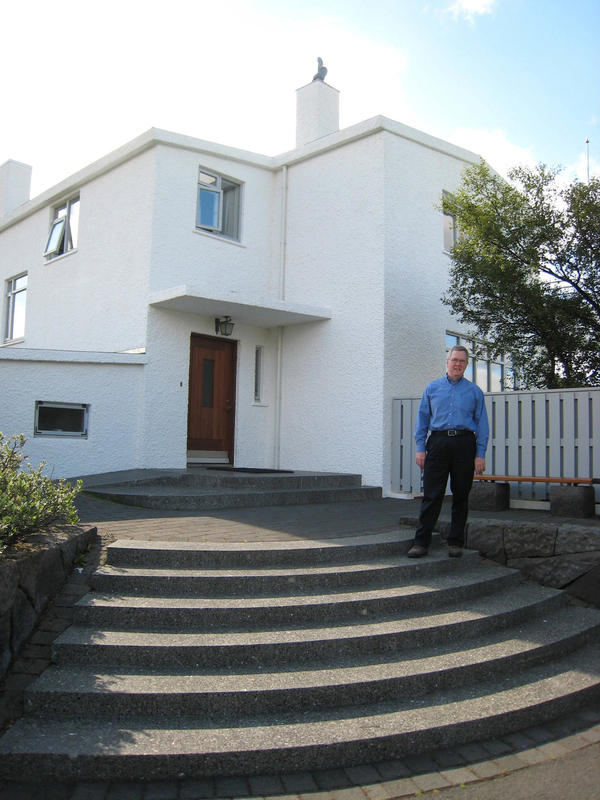 In Hvolsvöllur, we visited The Saga Centre, which is dedicated to Njáls Saga, another classic so central to the Icelandic identity that Halldór Laxness himself published a critical edition. This one is sometimes called “Burnt Njál’s Saga” because the eponymous subject was burned to death in his home by enemies of his sons as part of the never-ending series of score-settlings and revenge killings that litter the sagas. Njál himself was more of a legal scholar than a Viking marauder, and so his saga has a second lead character: the handsome and violent Gunnar Hámundarson, ultimately done in because he didn’t listen to Njál and because he did slap his beautiful but ill-tempered wife. 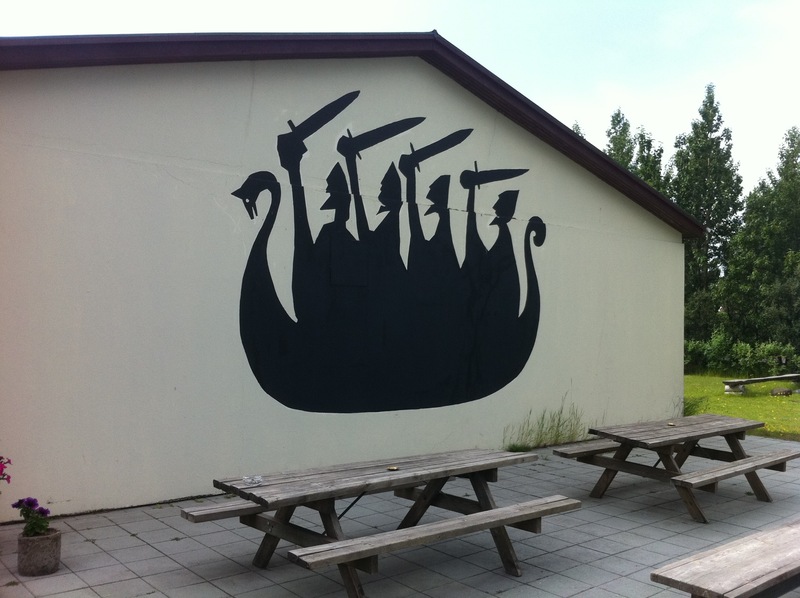 But as McSweeney’s pointed out, Icelandic writing is not limited to the prose and poetic stylings of dead Vikings or deceased Nobelists, and books by some of the current crop of authors are making their way into English and beyond. The current craze for Scandinavian murder mysteries has benefited writers like Arnaldur Indriðason, whose depressive detective Erlendur has appeared in 11 novels so far. 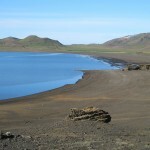 One of them, The Draining Lake, takes its title from Kleifarvatn, a lake near the international airport that started to drain away through fissures after a 2000 volcanic eruption. We stopped there, too, giving us a thousand years of up-close-and-personalness in just the space of a few days. thanks so much for sharing the history, literature, geography and photos of your amazing trip!! Wonderful post! It can be hard to explain the appeal of Iceland and its literature, but once you “get it” its appeal can become overwhelming.